Dive Deeper with Cora and learn the traditional way. 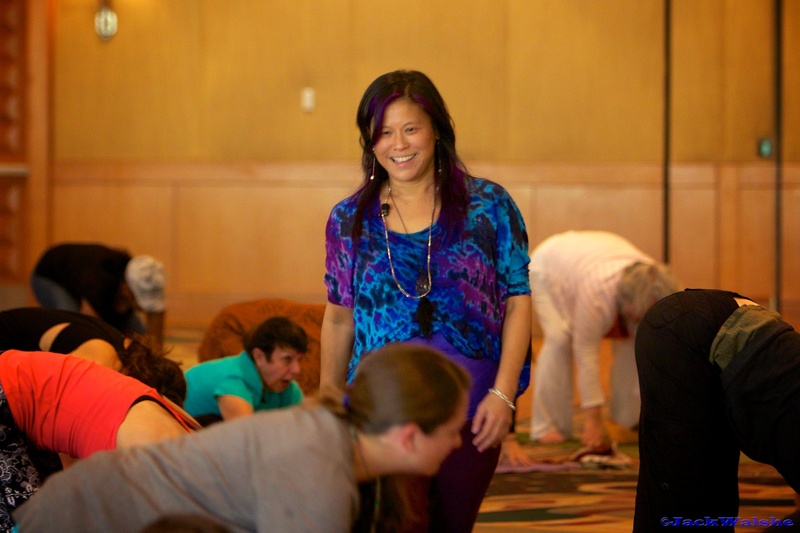 Cora’s expertise and creativity in yoga therapeutics makes her a yoga and wellness mentor across the globe. In the past, Cora could only meet in person with people in her local area, or as she traveled around the world. Now, with the technology magic of audio-video-live-stream-capture, Cora is able to support you from anywhere on your computer and/or mobile device! This is particularly important piece of yoga lineage and mentorship that is not offered anywhere else! A unique way to work with a world class teacher to develop long term, meaningful and long range connection and collaboration. If you are interested in working with Cora, you have several options to do so. All sessions run 60-75 minutes in length. 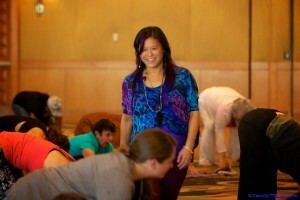 Cora’s expertise and creativity in yoga therapeutics makes her a sought-after private yoga instructor across the globe. From international conference keynote speaker to one-on-one volunteer worker, Cora is committed to the benefit of yoga as a life healing tool. Her unique eye has helped many special audiences in acute and chronic health care find yoga and meditation as complementary healing. In chapter six Lord Krishna reveals astanga Yoga, and the exact process of practicing such yoga. He explains in detail the difficulties of the mind and the procedures by which one may gain mastery of their mind through Yoga which reveals the spiritual nature of a living entity. If you don’t live nearby, Cora can work with you to meet your individual needs. This is a wonderful option to learn from Cora in the comfort and convenience of your own home. What you need: stable internet access, the ability to have your computers camera show a full view of you and your mat, comfortable yoga clothes and standard yoga props (1 yoga mat, 2 yoga blocks, 1 yoga strap and 2 yoga blankets). You can come to Cora for an in-person session, and she has all of the props you need to make this a wonderful experience, including an alignment Rope Wall System and Bhoga Ladder System. Please note Cora is available in San Francisco California January through May 2016, and in East Hampton New York June through October 2018. Bookings for 2019 cannot be confirmed at this time. 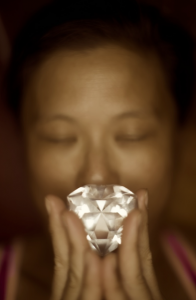 I am offering Yoga Bloom LAB1000 Mentor, and will be available as a one-on-one mentor. This is an intense and intimate training, limited to one-on-one direct contact, so in traditional style, each student-teacher is encouraged to develop in the way most appropriate. Yoga Bloom LAB1000 Mentor explores ways of thinking about authenticity in teaching, from the perspective of scholar and practitioner. Becoming an authentic teacher is a process that relies on experience, maturity, self-exploration, and reflection. We will work together to help direct individual development of practice, to facilitate growth on all levels: physical, mental, emotional and spiritual. All student-teachers are required to develop a personal practice incorporating the various tools of yoga. I am committed to sharing this life healing practice of Yoga, and want to encourage skills that create exceptional teachers and practitioners who embody Yoga in life and spirit. (1 yoga mat, 2 yoga blocks, 1 yoga strap and 2 yoga blankets). If you live in or around the Bay area or East Hampton NY, Cora can also come to you. This option saves you valuable time and allows you to practice with Cora in a space where you might also continue your personal practice. If you are interested in locations outside of Northern California or New York, you will need to contact Cora directly here. Please note Cora is available in San Francisco California January through May 2016, and in East Hampton New York June through October 2016. Bookings for 2017 cannot be confirmed at this time. If practicing with Cora in-person, payment may be made at the end of the session. If practicing with Cora via Skype, payment must be made prior to the start of the session. Cora will send you the details on how to do this once the session date/time is confirmed.